Memphis lost, but managed a road split in Games 1 and 2 of the Pacific Coast League finals. Peoria was shut out in the opener of the Midwest League finals, held at Dozer Park. 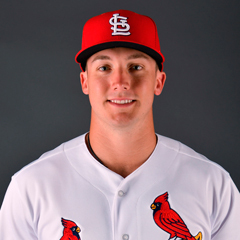 Redbirds catcher Andrew Knizner had two hits and scored the lone Cardinals run across the two Thursday contests. Results from the games played Wednesday, September 12th. Fueled by six runs in the second inning and three long balls in total, the Grizzlies stormed to a 10-1 victory over the Redbirds to even the Pacific Coast League Championship Series at one win apiece. Memphis starter Tyler Lyons had a rough outing. The lefty recorded just five outs and was pulled after Fresno scored six earned runs on seven hits. Reliever Will Latcham, turned in 2 1/3 innings of one-run ball. Edward Mujica and Austin Warner each worked a scoreless inning before Genesis Cabrera and Conner Greene combined to allow three more runs over the seventh and eighth innings. At the plate, Memphis had six base hits and three walks, and posted their lone run on third baseman Max Schrock’s sacrifice fly in the top of the third inning. Catcher Andrew Knizner was 2-for-4 and scored the run, as the Redbirds collectively went 0-for-4 with runners in scoring position and stranded seven runners on base. Next game: Chris Ellis (0-0, 0.00) vs. Fresno Grizzlies, 7:05 PM Central time on Friday. The Hot Rods capitalized in several key situations on Wednesday and defeated the Chiefs, 4-0, in Peoria. With the win in the opening game of the Midwest League Championship Series, Bowling Green now has a 1-0 lead. 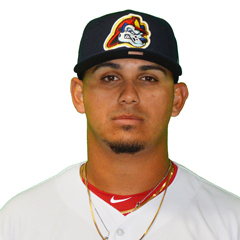 Chiefs starter Johan Oviedo was the loser. In his five innings of work, the Hot Rods scored all four runs, including three in the fourth inning on a pair of home runs. Three Chiefs relievers – Ben Yokley, Thomas St. Clair, and Edgar Gonzalez – combined for four scoreless innings to close out the game. Nonetheless, the Chiefs offense could not get anything going. Peoria hitters fanned seven times on Wednesday and with five hits, five walks, and a double play, the Chiefs left nine runners on base. Right fielder Yariel Gonzalez led the way with two base hits, and first baseman Zach Kirtley’s double was the club’s only extra-base hit. Designated hitter Luken Baker drew two walks and had a pair of strikeouts, while third baseman Nolan Gorman fanned three times and center fielder Justin Toerner was punched out twice. Thursday’s game: Zach Prendergast (0-0, 0.00) vs. Bowling Green Hot Rods, 6:30 PM Central time.